Brand, What’s in a Name? There is a case for suggesting that the Leica M9 isn’t the tool for shooting motor-sport, I would agree. One might also suggest that driving a Lancia 037 (Versione Stradale) from Twickenham to the Wiscombe Hill Climb, taking part and then (presumably) returning home isn’t sensible. Robert Wadsworth assured me that he had to drive the car to the meeting because he ‘didn’t have a trailer’, this all seems perfectly reasonable. Can I make it clear, I love old Lancias but don’t look at the current Lancia website full of re-badged Chryslers unless you want to cry. There is something about the old ones though. 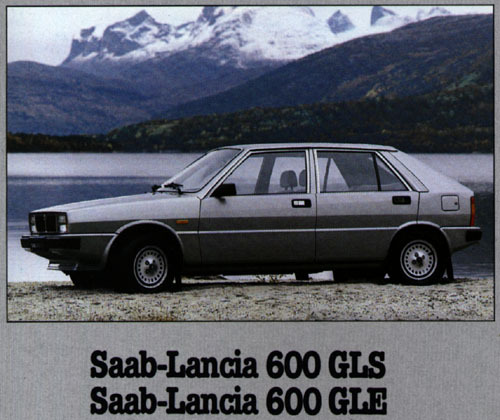 I drive a Saab and briefly Saabs were re-badged as Chryslers, in fact Lancias were re-badged as Saabs too after the ‘engine falling out issue’, but I would never try to link the Saab experience to the Lancia one. Now, I must admit I had noticed the two young men with their lovely long lenses. I was even briefly perplexed by one who had both Nikon and Canon gear in his bag, that’s just not right is it? What I hadn’t realised was that they had noticed me, well to be fair I was probably stood in their way and actually it was the M9 that they had noticed. I had ridden to the meeting on the BMW and the Leica works really well, fits in the top-box, no need for a trailer. While we were talking nonsense about cameras I was aware of Sir Blighty-Tweed walking past me, barking “Aha, BMW, by the people who brought us Auschwitz!”. I assumed he was addressing the chap cruising up the hill in his old 3-series, but then I looked at the logo on shoulder of my, err, BMW Rallye-3 jacket. Probably best not to mention the Leica then? I’ve always been a fan of Range Rovers particularly since sitting in a really ratty early one being driven up a ridiculous forest hill in total comfort. Normally when a new vehicle design comes out I take a while to get accustomed to it, this one is different though, I liked it immediately. Finally I have posted this because I like the way the video is put together, nothing revolutionary I know but it captured my attention and informed me. No real reason to show this but if you want the full story have a look here. Laverdas are one of my favourites and I’m sure few would have envisaged this as an evolution of one but, hey?